The Baltimore Sun heralds Malcolm Gladwell as "the most original American journalist since Tom Wolfe." The Snooze Button Generation agrees. With his triumvirate of "Outliers," "Blink" and the lesser "Tipping Point," Gladwell has concocted three nonfiction books that are fascinating and fun reads. 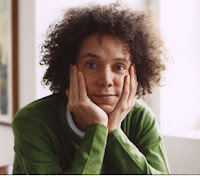 I just finished his newer collection "What the Dog Saw" and agree with this assessment from the New York Times Book Review: "In the world of nonfiction writers, Malcolm Gladwell is as close to a singular talent as exists today." Many members of the Snooze Button Generation share an affinity for Gladwell, and unexpected conversations about some of his topics pop up with friends. In particular, I like his counter-intuitive work and how his writing often makes the reader evaluate his ideas. I had heard a lot of hype for "Blink," but was hesitant because, sometimes, hype has no payoff. Example: "The English Patient." Anyway, "Outliers" and "Blink" look at success and split-second judgment in such an original way that I think they're totally worth the hype. In his new collection, the stories again are entertaining with angles that are fresh and/or out of the ordinary. By the way, the words "What the Dog Saw" is a reference to a story on Cesar Millan, the Dog Whisperer. Why do dogs behave the way they do? Man, so much of it has to do with the body language and attitude of the owner. Dogs are looking for affection, exercise and discipline from their owners. Makes me realize that we humans are a bit doglike, with the possible exception of the inappropriate licking.